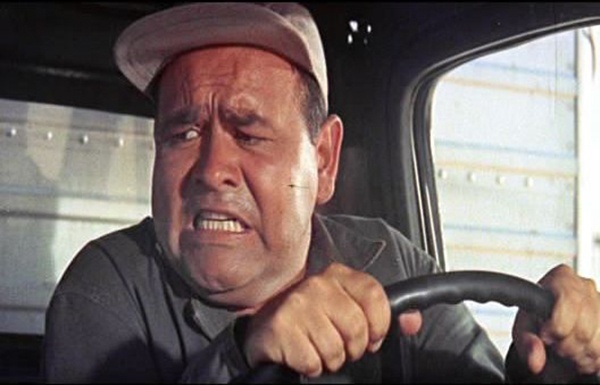 Jonathan Winters in "It's A Mad, Mad, Mad, Mad World"
The funeral for my friend, Stanley, is tomorrow morning at 10am. It remains to be seen if this strategy works. I’ll let you know. 10. Watch “It’s A Mad, Mad, Mad, Mad World.” Twice. 9. Look at cartoons of Ballard Street and Herman…almost constantly. 6. Watch episodes of The Andy Griffith Show, especially episodes with the Darlings. 5. Go to the gym more often and stay longer. 4. Watch Stanley Cup hockey, even though your best friend’s name was Stanley. He’d appreciate the irony. 2. Watch Mark Knopfler play the guitar. 1. Pray often. Followed by another one that’s important to me, reading the Scriptures. I’ll be back, Lord willing, in a few weeks. In the meantime, enjoy the Saturday’s Smiles. We all need them. Smiles, that is. P.S. Thought I’d leave you with a Wednesday smile since every midway point of a week could likely use a smile.